Melanocytes are responsible for the skin and hair color and the affected individual might even notice a lack of melanin inside the mouth. People with darker skin colors are more likely to be targeted by vitiligo than those with lighter skin shades. Aloe vera is a plant that has been associated with the treatment of several skin conditions for a long time. Since it has also shown significant results as well, it goes without saying that the continued use of aloe vera may also be helpful to some extent when treating vitiligo. Aloe vera contains antioxidants and vitamins that are needed to keep vitiligo at bay. Vitamins such as B12, C, A and folic acid are found in aloe vera. It also has components which are active ingredients in promoting re-pigmentation such as zinc, copper, calcium etc. Studies suggest that genetic oxidative stress can also trigger skin conditions such as vitiligo and hyperpigmentation. 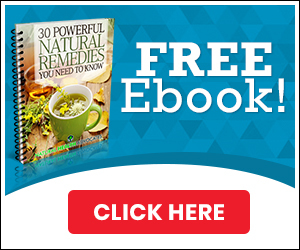 Oxidative stress is caused by the inability of the cellular defense mechanism to actively fight against reactive oxygen species. Reactive oxygen species, when left unchallenged, destroys cell membranes, lipids and even DNA. This kind of condition can be transferred through genes which might activate skin conditions like vitiligo. In this scenario, the most natural way to fight stress is to adopt stress reductive workout routines such as yoga, and aerobics. Vitamin C and E are said to be antioxidants which also help in fighting reactive oxygen species. Increasing diets rich in these vitamins or including supplements may also help in fighting vitiligo. Another important thing that people with vitiligo can do is to wear sun screen to protect their skin against the sun’s harmful rays. According to studies, prolonged exposure to UV rays can worsen vitiligo because individuals with the condition already lack melanin which is an active agent in protecting against harmful rays. It is recommended to put on sunscreen of 45spf or more, use a scarf to protect skin or wear hats so that vitiligo is not worsened. A remedy that people with vitiligo can try at home is mixing mustard oil with turmeric. Turmeric has been known to be a good agent that helps in creating pigmentation. Mix a pinch of turmeric in mustard oil and rub it on blotches or patches thoroughly. This mask should stay on affected areas for 20 minutes before washing it off with water. By repeating this method for two months you should notice a significant development of pigmentation on areas targeted by vitiligo. 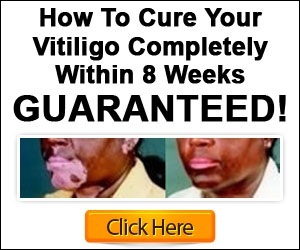 Written by Michael Dawson – nutritionist, health consultant, and author ofNatural Vitiligo Treatment System: The Home Vitiligo Cure that Doctors Don’t Want You to Discover. do you drink the aloe Vera or you apply on the skin?